We probably did that as a family about 10 times throughout my entire childhood years. I prayed that literally every night for about 2 months. I figured that was about enough. I stopped this practice by second grade as I figured I had by then covered up for all my burping sins of the past. Silly kid. I never told anyone about my little private religious practices. Where do we get these ideas? Of course, there are lots of sources for silly practices and misguided religious notions. Sometimes we get them from our parents, or friends, or even churches. Sometimes we just make up things that seem right to us, or the way we think God and religion should work. God is always angry. At least in the Old Testament. God is nice in the New Testament. At least Jesus is. The early books of the Bible are symbolic. Every word in the Bible is to be taken literally. God punishes the wicked and bad people go to hell. Good people get rewarded here on earth and then go to heaven. God is keeping score of our good deeds. God is happy when we go to church. He’s mad at us when we don’t. Jesus was a great teacher who taught us how to live right. Only pastors and priests can explain the Bible to us. We can’t do it by ourselves. These are just a few of a myriad of religious notions and ideas that we grew up with or developed over time. It’s easy to see how religion can be such a contentious and confusing subject. We can actually blame it all on Jesus. Without Jesus, there would be no real confusion or dissension over religious practices. He brings everything to a sharp point and causes people to make difficult choices. Apart from Him, we’d all be free to pick and choose our favorite religious practice that makes us feel good or makes logical sense to us about the way the “Big Guy in the Sky” should operate. If he’s even there at all. Even as he spoke, many believed in him. These are profound religious words that Jesus is speaking. One cannot be intellectually honest and fail to be struck by these very strange things He is saying. Yet these words make perfect sense to those who know Jesus, the Christ, as predicted and presented throughout all of the Holy Scriptures. 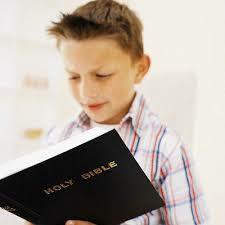 Every child and adult should learn and study, believe and follow, this Jesus who brings clarity to religious confusion. Are you confused by religion? Maybe Marriage is for Everybody? Jesus only baffles ones who weren’t meant to understand. He said many times “your father satan.” They were not of G-d. I’m an Israeli Jew and officiant rabbi. JESUS is messiah, Isaiah 53. G-d is not the author of confusion. That’s the other jacker dude. Great post. Be Blessed. Thanks. Nice to hear it directly from a Jewish rabbi.